So what is this Grom, and why should you have one? The Grom box incorporates bluetooth to your existing OEM car radio, it also incorporates a virtual CD changer and Android/iPhone compatibility. 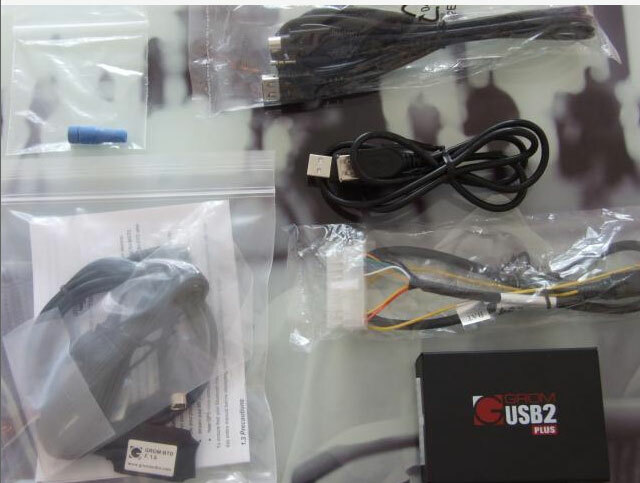 The installation is really easy, one power cable needs to be attached and the cables for the Grom box, depending on what accessories you have bought with it, my kit came with the Bluetooth dongle and Aux in/USB charger. Remove the original radio, use the included power wire adapter to supply the Grom box with power, and attach the model specific signal cable to the back of the radio, that is all it takes. 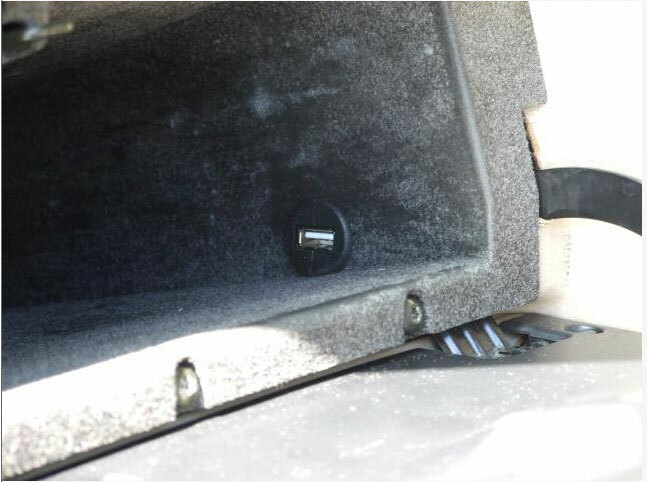 Then you can hide the Grom box where it does not get in the way, I tucked it deep inside the centre console behind the radio, and I hid the USB socket in the glove box. Then draw the wires for the accessories and hide them out of sight, I hid the microphone at the top corner of the windscreen and the cable was tucked in under the A pillar panel, and the Aux in/USB charger is hidden in the centre armrest. USB socket in glove box. Hands-free microphone at the top corner of the windscreen (RHD car). Aux in/USB charger cables in the center armrest. To use the virtual CD changer you need a USB stick formatted to FAT32 and a folder structure that follows the original radio buttons. 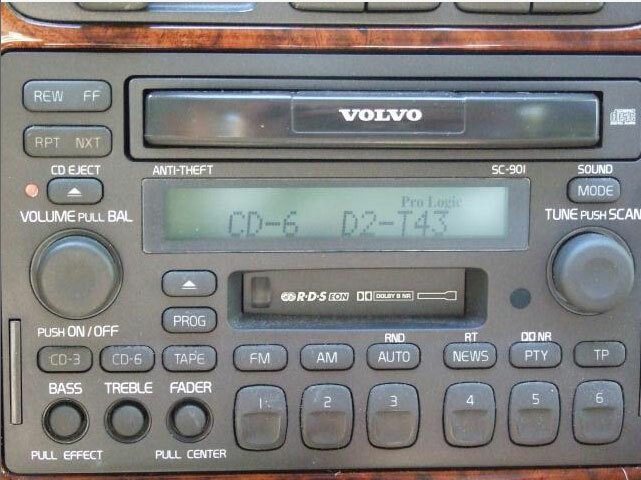 In the case of my old Volvo, that means I have six shortcut buttons for the CDs, so I create six folders on the USB stick and number them 1-6, this way I can then change CDs with the buttons. The files within the folders can then be renamed with a digit up front to play in desired order, or synced to the stick in the order you wish them to play. All in all it's easy to get a hang of the way it works. 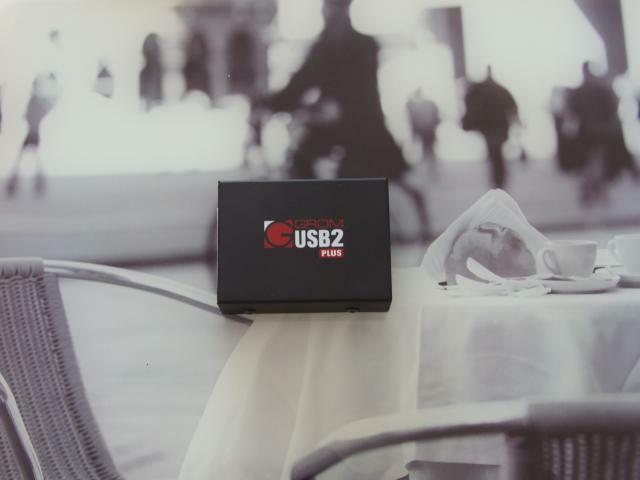 To use the Bluetooth dongle you need to pair it with your smartphone. Turn on the power on the car, and the Grom will be visible for three minutes, and a pairing can be done. 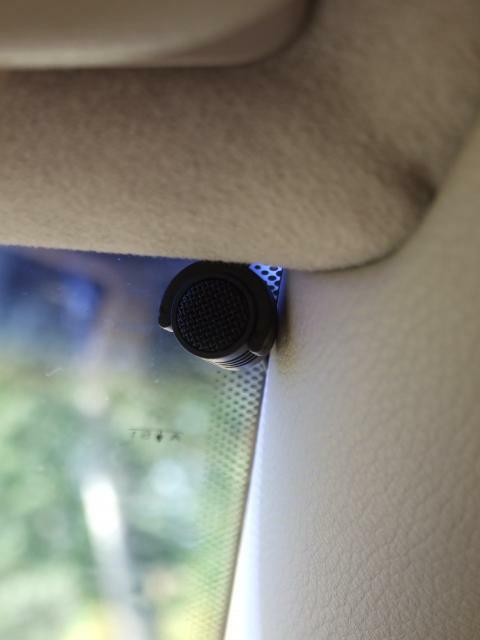 The Bluetooth handles calls as well as streaming audio, and with the microphone in place you will have a fully working hands-free set up in your old car. Incoming calls can be answered straight from the radio, outgoing calls must be initiated by the phone. A very nice feature is that if you have Google navigation on, or receive a phone call while music is playing, the music will be muted to allow for the voice command or call to be put through. Having everything set up I was very eager to listen to some nice tunes, so I went for a drive to test the sound quality, 74 miles later I was left speechless, very impressed and wondering why I hadn't installed this the day I bought the car. The sound is at least on par with, or even better than the built in CD player of the original radio. The sound is very clean throughout the full spectrum, from the low frequency rumble and bass attack via the lifelike and sweet mids to the very sparkly highs, very dynamic and highly enjoyable. Even mp3 files sound great, not to mention lossless files. Unfortunately it can not handle gapless playback from USB sources, there is half a second or so gap between the tracks, maybe this can be implemented in a firmware upgrade in time. Aux in and Bluetooth can handle gapless playback, so there are options for us Pink Floyd fans. If you have opted for the Bluetooth dongle, you can stream sound from your phone to the radio and use the controls on the radio to control the playback. I even streamed the sound to the surround system while watching a film on my phone, that is quite impressive, especially for a 15 year old car. If you have opted for the Aux in, you can play audio from any source with a 3.5mm headphone out. In Aux mode the controls on the radio can not be used to control the source. All material and content are property of gromaudio.com and (or) it is original owner. The material and content on this site is protected by international copyright laws. You may not modify, duplicate, reproduce, publish, upload, transmit, or distribute in any way (including by way of email, facsimile or other electronic means) material and content from this site, unless specified, without written permission from gromaudio.com. You may download certain content or materials on specified pages from this site for personal, non-commercial use only. All other logos, banners, and certain content not affiliated or owned by gromaudio.com is the sole property of the rightful owner.